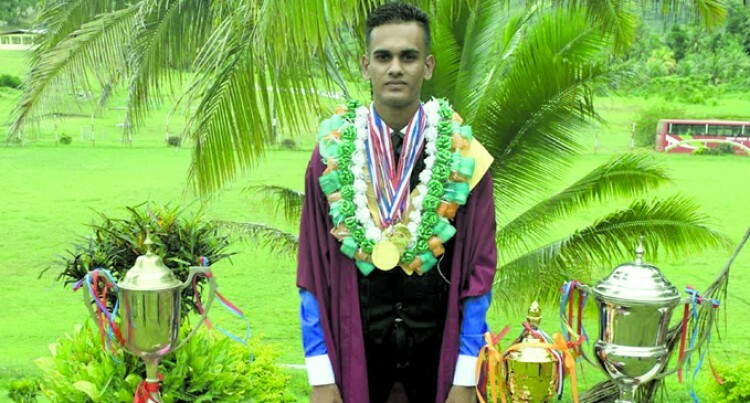 Bulileka College headboy, Navitesh Prasad, had one goal on his mind since the start of the year. It was to get the dux award. Four hours of studying before and after school was how he got there, he said at the prize giving ceremony at the school yesterday. He also received the Principal’s award. “My father is a farmer and moth­er does domestic duties. They are the inspiration behind me receiv­ing the awards today,” Navitesh said. “My school teachers and the principal Mr Krishna Kumar were the ones who supported me in my studies and I would like to thank them for their moral sup­port throughout the year. “It was a tough year but I man­aged to do my studies every after­noon when I reach home. “I studied for four hours every afternoon and every morning be­fore I leave home for school. I did this to make sure I attain my goal at the end of the year. “I am an arts student and I love accounting and economics, I am planning to further my studies at the University of the South Pa­cific. “I want to start my own busi­ness,” he said. Bulileka College headboyFijiFiji SunNavitesh Prasad.